Cuba is rich in history, architecture and music. Just as colorful as its pastel-painted buildings is the country’s cuisine, with its African, Spanish and Caribbean influences. 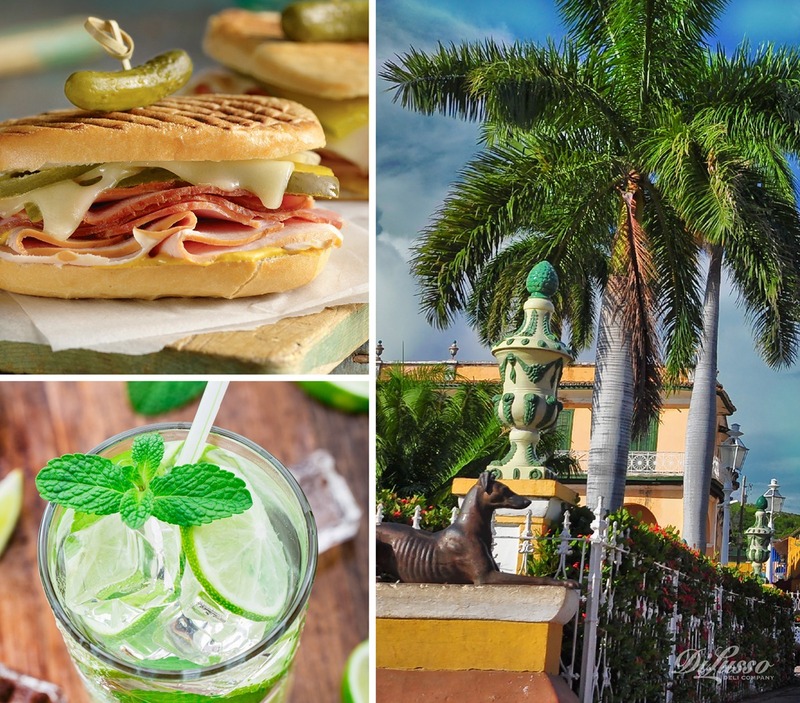 We think today’s a perfect day to give a nod to Cuba’s soulful traditions and balmy tropical climate! Invite some friends for a little taste of the tropics. 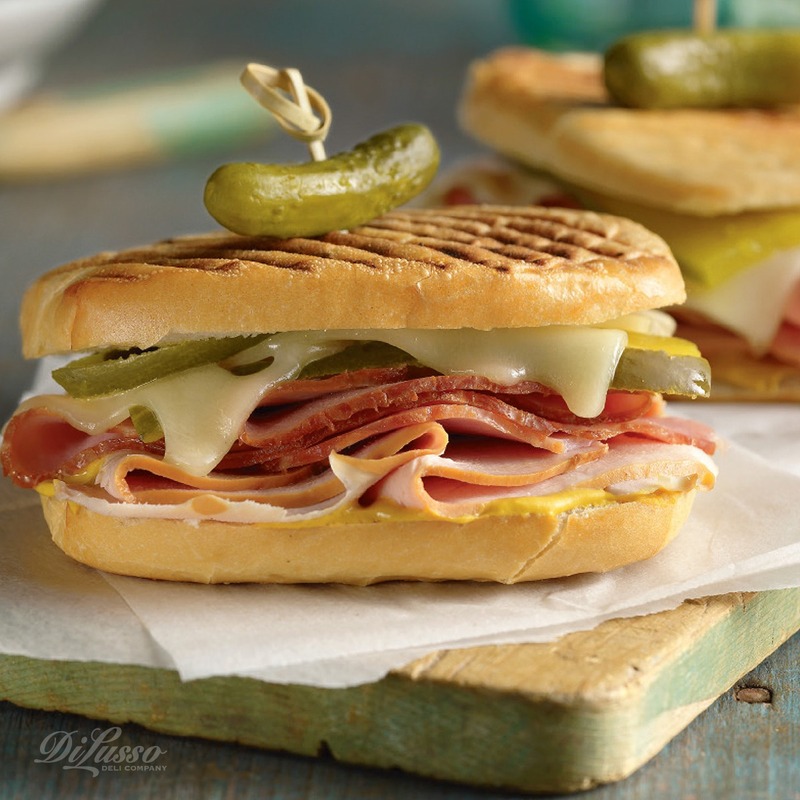 Serve our delicious Cuban Sandwich (called mixto in Cuba) recipe, featuring DI LUSSO® Turkey, Ham and Swiss cheese, and pickle slices. Serve these with some tropical fruit. Crank up some traditional Cuban tunes and push the furniture back to clear the floor. It’s almost impossible not to dance along to the joyful beat. If guests are feeling ambitious, there are dozens of videos online that show the basics of mambo, cha-cha-cha, rumba and Cuban salsa steps. 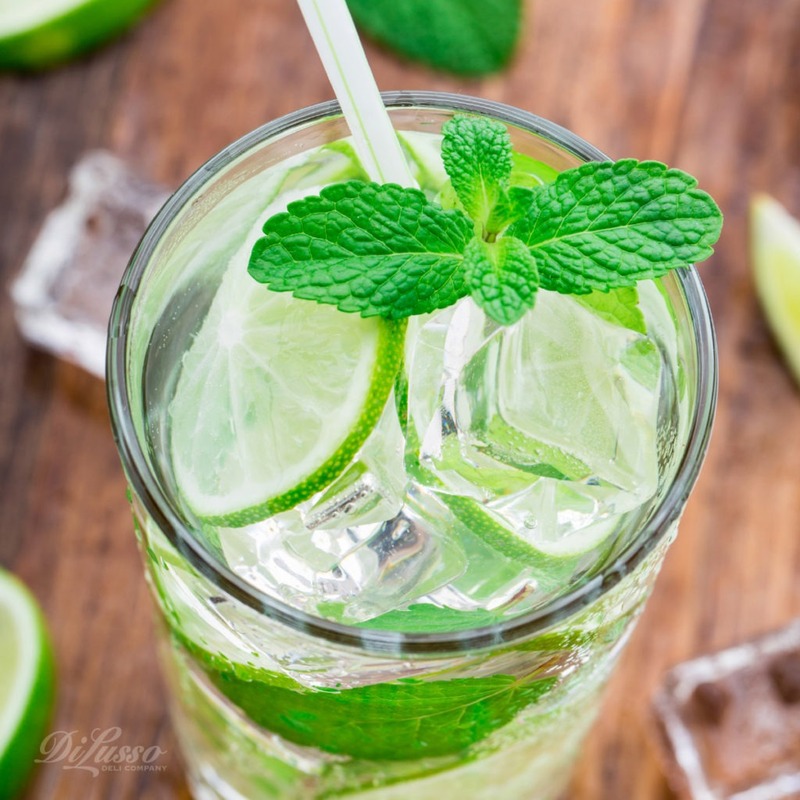 Refreshing mojitos, made with Cuban rum of course, might be inspirational for adults. For the kids, make a traditional Cuban punch: float red grapes in pineapple juice, apple cider and fresh lemon juice. Flan or tres leches cake are two delicious traditional desserts.